My Account Login 888-237-NoSkype1946 Call Us Need Help? Your local Penn State Store, The Family Clothesline, has been operated by a Penn State Graduate and lifetime Alumni since 1985. We are located in the Heart of State College and we are a Officially Licensed Distributor of top quality Penn State Nittany Lions Clothing and Merchandise. We have been able to maintain our low prices on Penn State Merchandise for over 30 years. 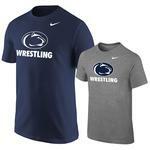 Our Penn State Kids Clothes, PSU T-Shirts, Jerseys, and Gifts are a few great examples of our focus on low prices. Find all the Penn State apparel your family needs for any season here!